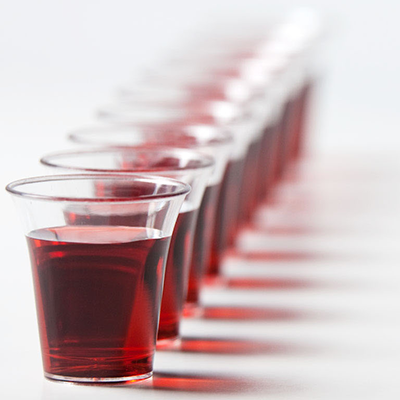 We shall be celebrating the Sacrament of the Lord's Supper at both services this Sunday. We welcome visitors to join with us at the Lord's Table. 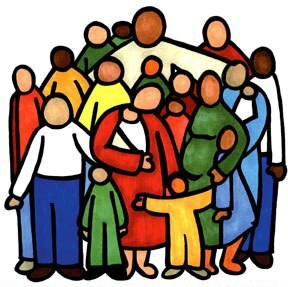 After a magnificant week of "SHOWSTOPPERS" Holiday Bible Club and an evening youth programme we are celebrating with a special service at 10.30am in the Memorial Hall. 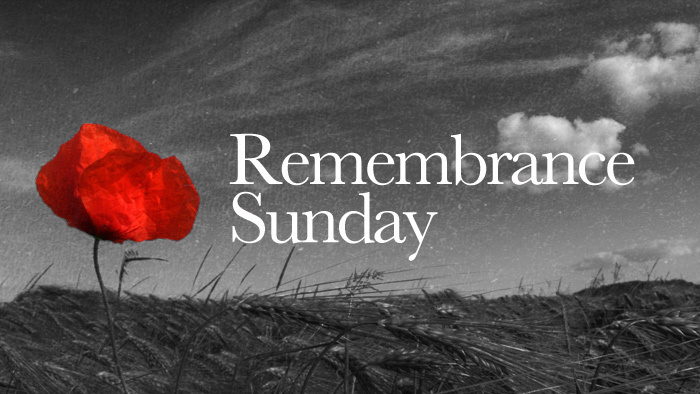 Our services atre open to everyone - and this Sunday is no exception! 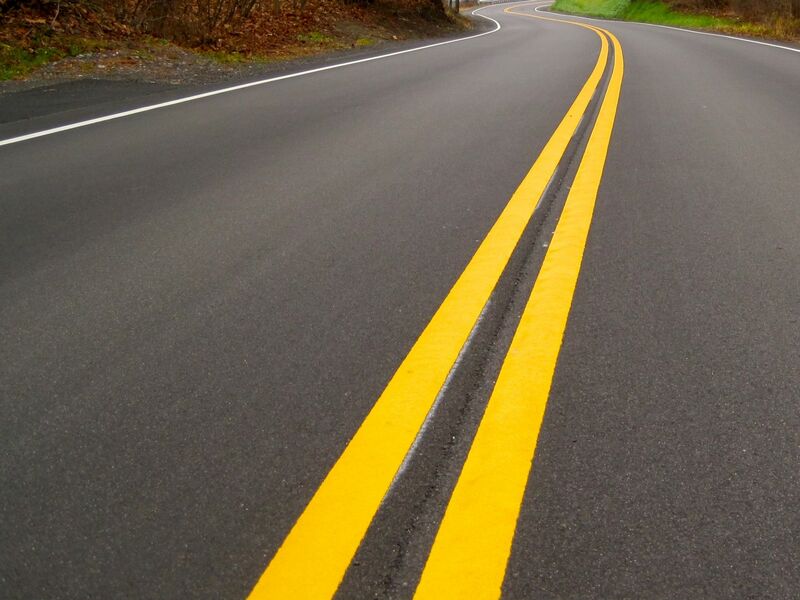 This very special service is for everyone - including you and yours! 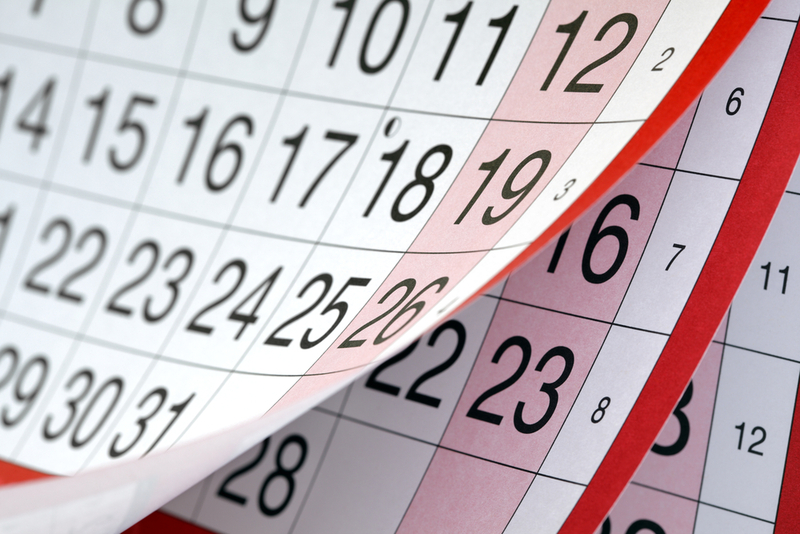 Following the recent process to elect a new Congregational Committee there will be a Congregational Meeting immediately after morning worship on Sunday 29th July at which voting members can confirm the appointment of the 38 people named. 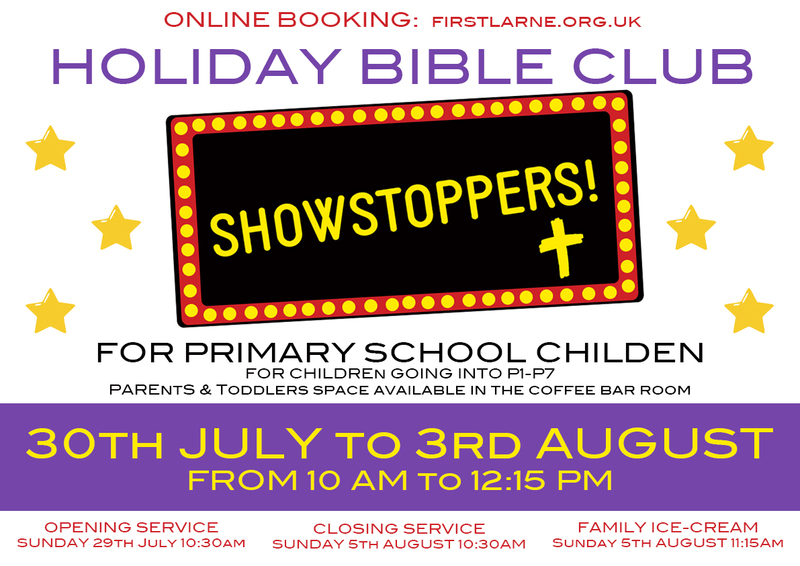 Holiday Bible Club 2018 - SHOWSTOPPERS! YES! 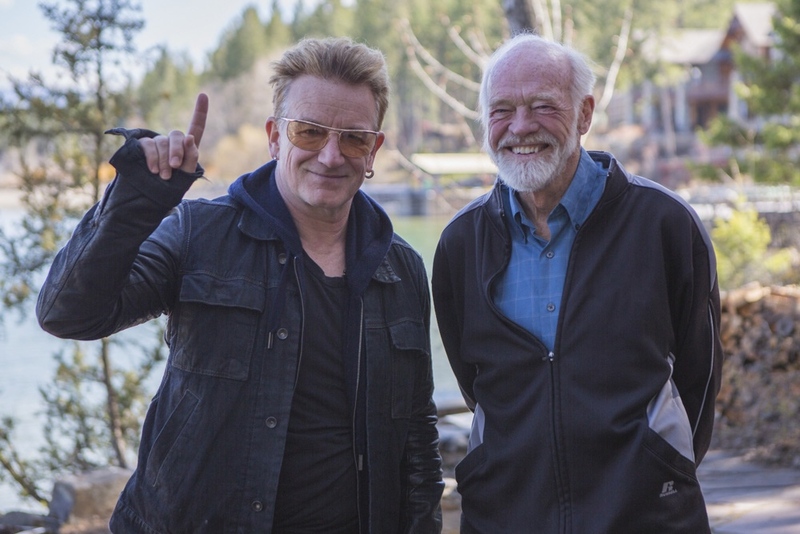 Bono and Eugene Peterson are at First Larne this Sunday evening! 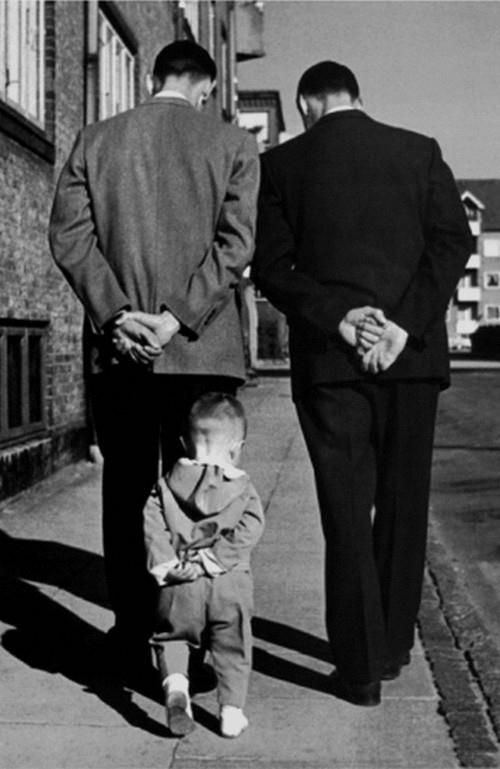 We all have a role to play as encouragers and enablers - but what does it mean to walk in my Father's footsteps? 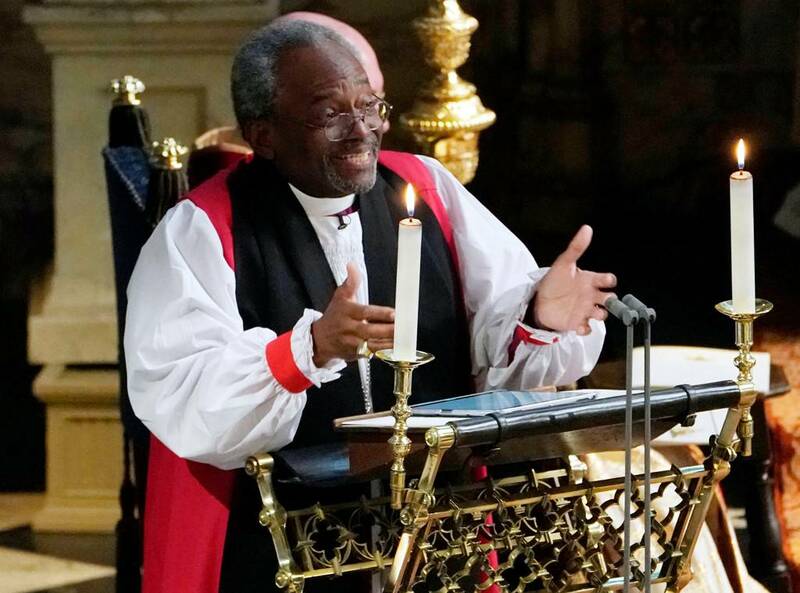 We are delighted to welcome as our preacher the Rev. Maynard Cathcart who is our new Pastoral Associate in First Larne.